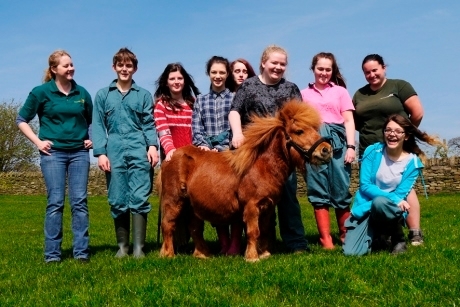 School Travel Organiser finds out what workshops and educational activities Whirlow Hall Farm in Sheffield offers to Key Stage 1 to 5 pupils. Whirlow Hall Farm is home to 250 sheep, 300 free-range hens, three ponies, five goats, 20 breeding sows and a boar. It’s also a home away from home for children taking a residential there; or it’s a great place to visit for a day, to experience first-hand what life is like on a working farm. Whirlow caters to all ages, from three to over 18s, and it also lends itself to outdoor learning in subjects including Literacy, Maths, Science, Geography, History, Business, Art and Design, Food Technology and PHSE. Half-day, full-day and two-night stays are available. 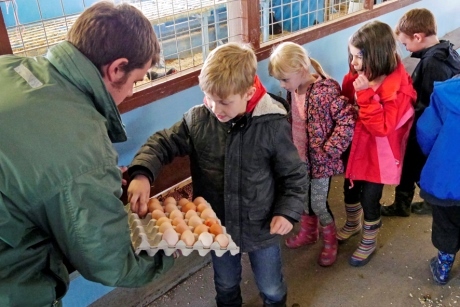 Classes visiting the farm for half a day will take a farm tour, which aims to help pupils learn where their food comes from and how farm animals are reared. From stroking spring lambs to picking autumn raspberries, pupils will gain hands-on experience to help them understand about lifecycles, the relationship between farming and food, and animal welfare, all led by a trained education team. Farm tours can also focus on a specific topic such as Selective Breeding and Domestication of Animals, Maths on the Farm, Plants and Growing, and The History of Farming. School groups visiting for a full day at Whirlow can pick from a wide range of workshops in all manner of subjects. One example is The Little Red Hen session. Linking to Literacy, and ending with a lesson in Food Technology, this workshop will see Key Stage 1 children discover the journey from seed to bread in a lively role-play session. The group will help the little red hen find the seed, plant and harvest the wheat, grind the grains to make flour and finally make bread to share. Other Literacy days linking to stories like The Gruffalo, Farmer Duck and The Very Hungry Caterpillar are also available. There are a number of Science days, too. Rocks and Soils, suitable for Key Stage 2 pupils, looks at why soil is special on the farm, and allows pupils to become real scientists and make their own soils. GCSE Applied Science Days are available for Key Stage 4; the group will use the wider context of farming to learn about legislation, biotechnology and the use of hydroponics and biological pest control. Linking to the History curriculum, workshops range from Farm Life for the Victorian Child to World War One or World War Two Farm Life. In the Victorian workshop, children will get to milk a sheep, churn and pat the butter, wash clothes in a dolly tub, collect eggs and groom a pony. In the war workshops, activities include collecting eggs, cleaning the tack of the working horses, experiencing life as an evacuee and learning about rationing. 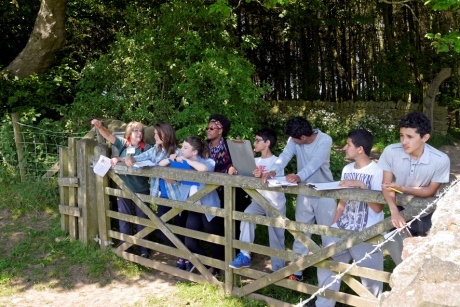 Key Stage 3 and 4 Geography and Business students are also catered for at Whirlow Hall Farm. For example, Whirlow through the Farmer’s Eyes is a day visit that explores diversification and land use around the farm in order to understand the challenges of modern farming. Meanwhile, Food Production at Whirlow compares intensive large-scale farming with organic farming and free-range farming, looking at both plants and animals. The class will investigate the conditions of caged and free-range hens and compare strawberries grown out in the open with those in a polytunnel. Residential packages are two nights long, and available to book all year round. School groups can stay in a traditional stone farm building in dormitory style accommodation, or opt to sleep in the Westfield Barn, located amongst the farm fields. Typically, a residential will include led activities, such as feeding the goats, rabbits and guinea pigs, grooming a pony and collecting freshly laid eggs. A farm tour is also included, and the class will meet all the farm animals and discover the wider farm setting. Children will also get to ride one of the ponies in the all-weather arena with a trained instructor. There will also be time for self-led opportunities on these residentials. 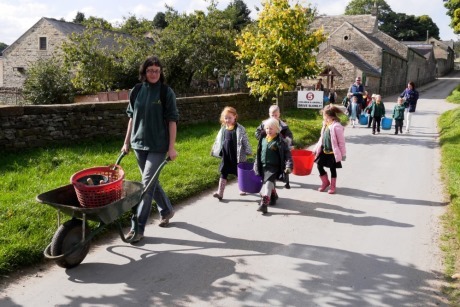 School groups can take farm trails with a trail pack; borrow equipment and go pond dipping; and explore the neighbouring Peak District, Forge Dam and Mayfield Valley. Teachers interested in finding out more about a visit to Whirlow Hall Farm can call the education office on 0114-236 0096, or e-mail educationenquiries@whirlowhallfarm.org. For further information visit www.whirlowhallfarm.org.